A newborn girl was today found dead in a dustbin near the mortuary of Safdarjung Hospital in south Delhi. 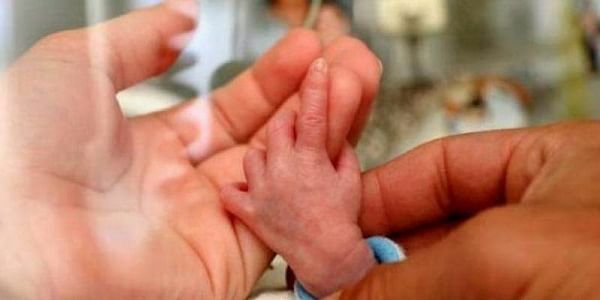 NEW DELHI: A newborn girl was today found dead in a dustbin near the mortuary of Safdarjung Hospital in south Delhi. A senior official said police received a PCR call regarding a newborn girl lying dead in a dustbin at the rear of the hospital's mortuary. "According to a tag on the body, the baby was premature, weighed 1.42 kg and was born at 11:58 pm on January 27. "During an inquiry, the father of the girl said his wife gave birth to a stillborn baby," the official said. He told police that doctors handed over the baby to the father, who threw her into a dustbin near the mortuary of the hospital as he did not what to do. "A probe into the matter is underway," he added.